I never sacrifice tonal quality for volume. Often guitars that are really loud up close don’t carry very well in a concert situation. Projection and sustain should never be sacrificed for volume up close. Loud guitars that do not project well often have a steely sound that is unbalanced and lacking in purity. Owners of my guitars always remark on the full, balanced sound that carries into the farthest corners of the room. This is especially important in a group of instruments where a clear leading voice is important. 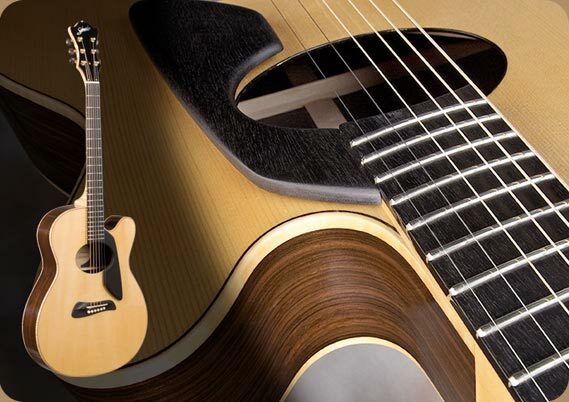 A superior guitar will go beyond just long sustain — it will have long sustain with a smooth decay. Smooth decay is accomplished by being well balanced between the fundamental note and the overtones, with neither part of the tone dominating the other. With this kind of sound, you can add a quality of expressiveness to your music that will sweep your listeners off their feet. "He's the best guitar technician I've ever come across. One of the acoustic guitars he built and allowed me to play was hands down the finest acoustic guitar I've ever played in my life."